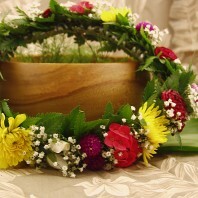 Categories: Blue Leis, Graduation Leis, Green Leis, Hawaiian Flower Leis, Hawaiian Leis and Corsages, Red Leis, Yellow Leis. 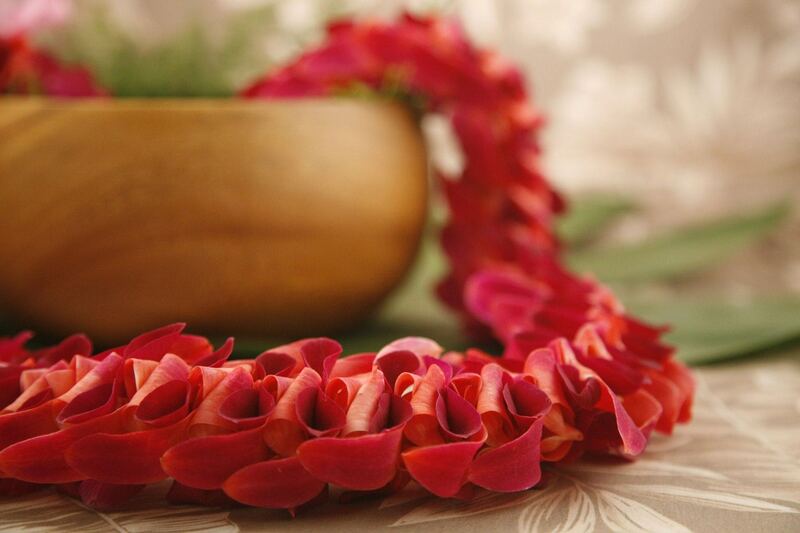 Anuenue means ‘rainbow’ in the Hawaiian language. 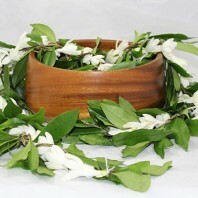 We take exotic dendrobium orchids of purple and white and infuse them with color. 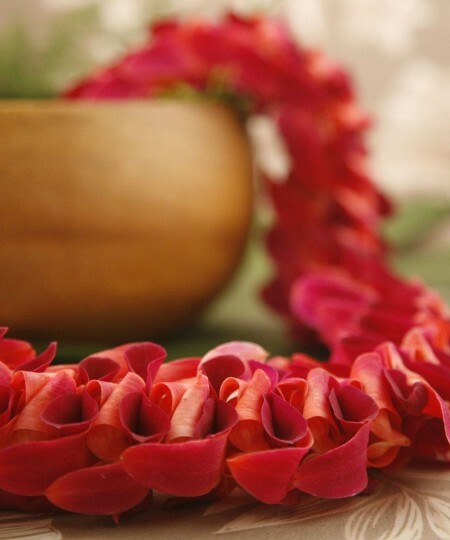 The petals are then sewn in a flat, lengthwise style. This is a carefully sewn masterpiece sure to attract attention. 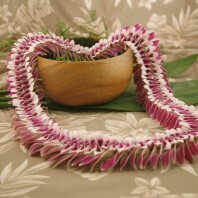 Despite the simple design this Hawaiian lei is sewn to show the beauty of the orchid flower. 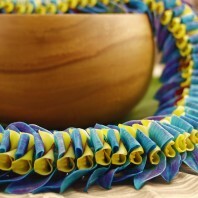 This lei must be ordered at least a week before the ship date. Choose from blue, green, red or yellow color infusion. 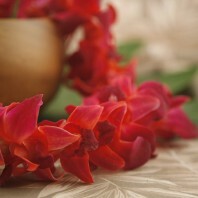 This is color that is infused within the orchid, not a cheap dye or spray. 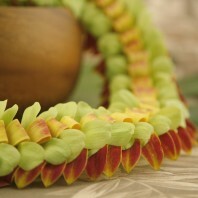 So this can be a graduation lei with your favorite school color. Refrigerate after delivery in a closed bag.